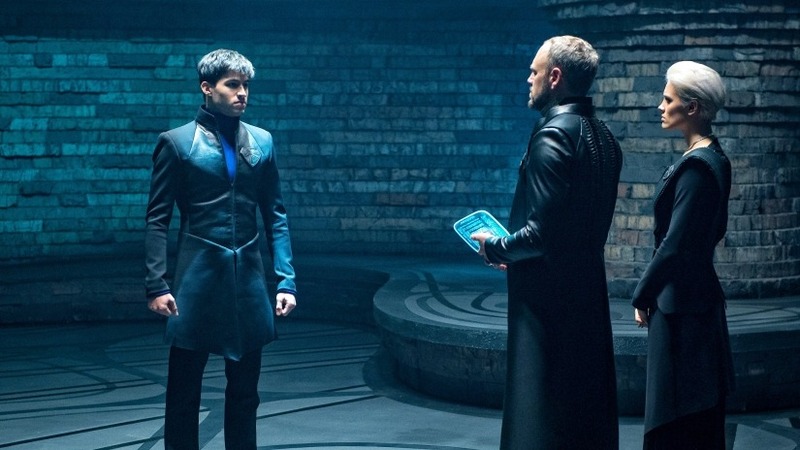 SPOILERS for the second episode of SyFy's Krypton. 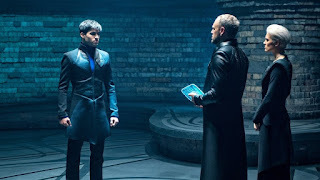 The history of the El line continues in the second episode of the Krypton series with some plot momentum and character development. This episode contains three plot lines and the major one is as expected about Seg-El, Superman's grandfather and our protagonist. After the events of last week's episode, Seg is dealing with the loss of his parents. He is finally getting a rank but it is in allegiance with Daron Vex's family, the man who was ultimately responsible for the deaths of his parents and his grandfather Val-El. Daron also doesn't allow Seg to have funeral rites for his parents as it is forbidden by the Council. This doesn't sit right with Seg so his plan is to kill Daron when he sees him next. Ultimately, he is stopped from doing this by the appearance of his grandfather's AI appearing to him in hologram form in the Fortress of Solitude. He gives him another option. Seg refuses to be aligned with Vex family and will get his rank by joining the Science Guild. His plan is approved by the enigmatic Voice of Rao and he is free to restore the name of El. Stepping up to injustice- an El family trait. The second plot revolves around Kem and Adam Strange searching for evidence of Brainiac's approach to Krypton. 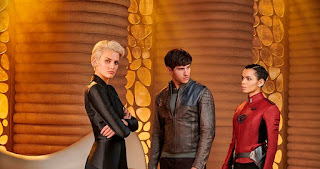 Adam suggests searching for odd meteorological phenomena as a sign of Brainiac's imminent arrival and Kem finds reports of a recent meteor strike in Krypton's wastelands.They trade Adam's watch and Detroit Lions' baseball cap to gain passage on a salvage ship to a meteor crash site. There Adam and Kem find a drone from Brainiac's ship. Brainiac isn't coming. 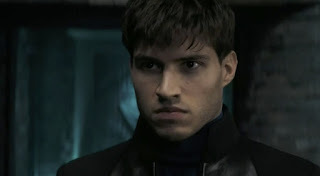 Brainiac is already on Krypton. "We never ask for mercy." The final, and in my opinion most interesting, plot line revolves around Lyta Zod. The Military Guild has received new weaponry to "smoke out Black Zero". The plan is to go down to the lower level where the Rankless live and go hunting for Black Zero members but Lyta can already sense that the mission will be used as an excuse to kill innocent Rankless as well. She voices her concerns to he mother but is told to follow orders. Lyta can't stand for this so she invokes a challenge for leadership of her squad that began in ancient times. Of course, she wins after words of encouragement from her betrothed Dev-Em and kills her commander echoing her mother's no mercy stance. She is now in control of her Sagitarri squad and can stop them from both needlessly persecuting the Rankless and turning them against them. The series is moving forward and there is some character development beginning to arise. Dev-Em's scars and family loss at the hands of Black Zero is touched on and maybe he'll become an actual character to care about. Nyssa Vex seems to be a manipulator and I'm very interested to see what her goals are. She gives Seg his parents' ashes but it is mainly used as a ploy we later learn. She might be the true brains behind the Vex's power. I need more heavier Brainiac stuff. I know that it will be a slow build to the big bad of the series but more Brainiac stuff means more actual reasoning for Adam Strange to actually be on the show. Finally, I get that this is Seg's show and it's about the return of the good name of the House of El but Lyta Zod is a far more compelling character and I hope we focus on her a lot more going forward.